Oh Great One! 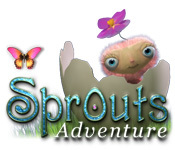 Only a few Sprouts remain and they are in need of your help! Use your powers to guide them in returning to their once peaceful and prosperous existence. Fulfill wishes, help them invent wonderful toys to play with and assist them in rebuilding their amazing land! The happier you can keep your Sprouts, the more productive their community will be! Become the deity you always dreamed of being! A dozen sprouts to love and care for!